I am a big fan of museums with encyclopedic rooms full of treasures. I agree with James Cuno [Who Owns Antiquity], formerly of the Art Institute of Chicago, now with the Getty, that a system of partage needs to be instituted, rather than the deaccessioning of art works thought to have been looted. Of course, they have been looted. How else to explain this picture? This one has a story involving double looting, or triple, depending on how you want to count this. The Pergamon Museum in Berlin is located in the former eastern zone of the once divided city. The several museums there were renovated, modernized and spiffied after reunification. Heinrich Schliemann brought many of the treasures that he so ruinously dug out of the ruins of Hisarlik, ancient Troy, to Berlin in the late 1800s. The fortunes of war and retribution caused those museums in the eastern zone to suffer from neglect and further removal. Many of those treasures, the loot of Troy, Priam's Treasure, are now said to be in the Pushkin Museum in Moscow. To quote Real Clear Arts, Judith H. Dobrzynski on Culture, where she quotes Hugh Eakin in The Great Giveback, from the New York Times. To which I add, museums must remain encyclopedic and easy to access. We cannot all get to Berlin, much less the ruin-heap of Hisarlik, or Benin, we need to share our culture with each other. We have already destroyed too much in the name of progress. At the head of one of the finest and most people friendly public spaces in the world, the Rijksmuseum in Amsterdam is finally coming to the end of a 10-year renovation that had much of the building closed off, including the famous pass through the building that the cyclists used. The space is anchored at one end by the Rijksmuseum, the other end by the Concert Gebouw and flanked by the Van Gogh Museum and the newly reconstructed Stedelijk around a pond and a greensward, it invites all sorts of public interaction, frisbee, sun-bathing, cycling around its vast perimeter away from traffic, open air cafes, souvenir stands, fountains, dogs, roller bladers and an infinity of tourists and Dutch punctuated by the clanging of the trams. The Rijksmuseum was a warren of rooms that had been made progressively smaller as time went by to accommodate an ever increasing inventory of art; renovating the existing building removed the clutter, even the original interior courtyards had been sacrificed in the need for more space. To gain space, the architects went under the building, a challenge given the wet soils of the city. Here's a review and a slide show from Architectural Record by Tracy Metz. h/t to Clive James of The Atlantic dot com for these paragraphs on Bernini. Ellipses mine. 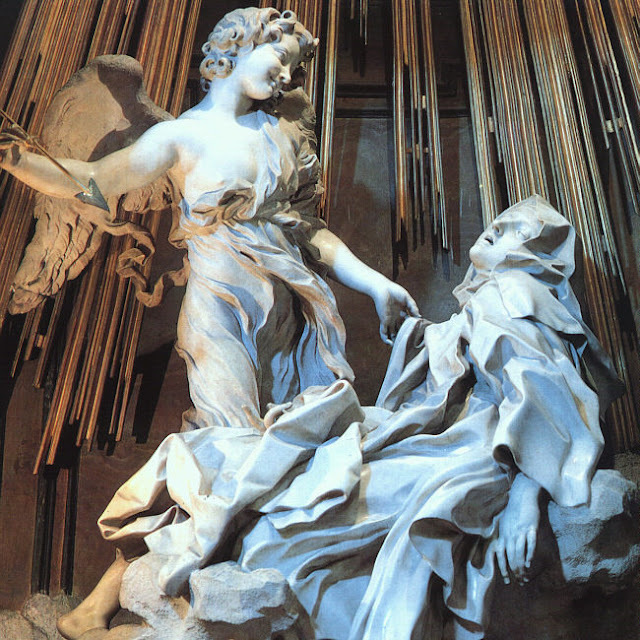 "Bernini left nothing out of the range of emotions, and this in turn left some of his work ripe for scandal. He was ripe for that anyway. His libido was always in a rage. If his wife had lived longer, he would have generated even more children than the 11 he did. Just before he married her, he was having an affair with Costanza Bonarelli, the model for the beautiful bust that is now in the Bargello collection, in Florence. When I first visited the Bargello, I hadn’t yet been to Rome, so she was my first 3‑D Bernini. I could see immediately how the texture of the carving either didn’t fit into the Renaissance at all or else brought it to an end. The naturalism was bewildering, because you would have thought that some of the earlier sculptures in the collection were already as natural as could be. Between that head and the pretty, slightly plump young woman who inspired it, there is no distance that we might call monumentality. 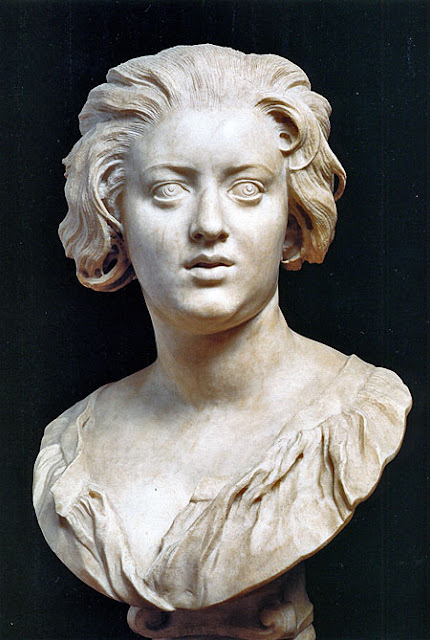 The sculpture simply says that Bonarelli was once alive, even though Bernini came close to killing her. She was already someone else’s wife, but when Bernini caught her having an affair with his brother, he went berserk, drawing his sword and chasing his brother in and out of churches. Meanwhile, to his eternal shame, he directed a factotum to slash Bonarelli’s face. This is a very nasty moment in the narrative. . .[the] excuse for Bernini is that such a retributive mutilation was a widely spread practice among men of the day. Perhaps, but you can’t help wondering whether the force of his passion was really an argument for the fineness of his feelings. Nevertheless, the Bonarelli is a fine piece of sculpture. They all are, as long as Bernini did them. Such was the demand for his style that he had to call in lesser artists to supply the demand. But when he was the author, the result was a hit every time, with the exception of the equestrian statue of Louis XIV, which the king himself thought was a dud. Similarly, Bernini’s succession of designs for the Louvre Palace in Paris ended up going nowhere, at the price of a huge drain on his energy. He was accustomed to having his energy drained, but outright failure was never typical. What was typical was a lucrative success, in a long career that culminated in his shaping and decorating an entire church, Sant’Andrea al Quirinale. As with all the other projects that involved architecture along with sculpture, he was the complete master of both media, and if he was constantly pushed beyond his natural pace, well, being pushed was his pace. He seems to have slept soundly enough; it was to others that the cost was heartbreaking. The ordinary people of the city picked up the tab, because all the outlay came out of money that the popes stole from them in lieu of providing the simple social amenities that might have saved their lives. Nevertheless, there is no arguing with the results obtained by the dream team of Bernini and Pope Urban VIII. The Rome we see today is the Rome they built." Here's Simon Schama's Bernini episode which opens with the Ecstasy of St. Teresa, tells the story of the Bonarelli and illustrates the magic of Apollo Chasing Daphne. Dig in. Why Can't We Do This? In Chicago or Nationwide? 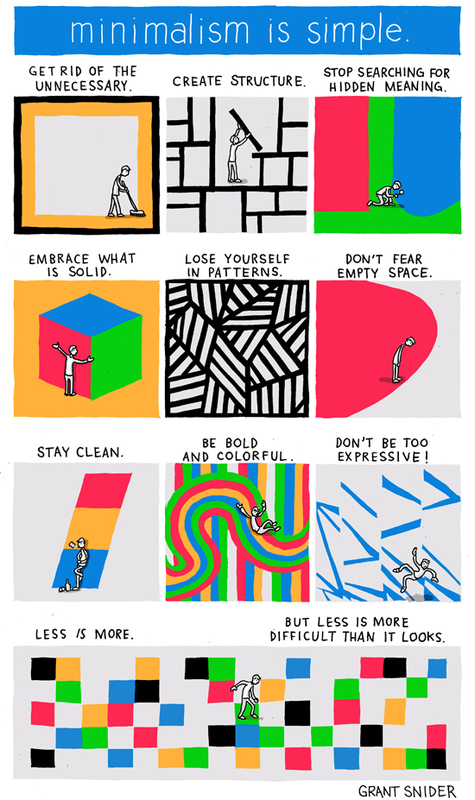 h/t Kyle Chayka at Hyperallergic dot com. 'If the NEA needed any more reasons to look inadequate, Brazil just offered one: the government has decided to give Brazilian workers a stipend of $25 a month just for “cultural expenses” — that’s anything from books and movies to tickets to art museums. 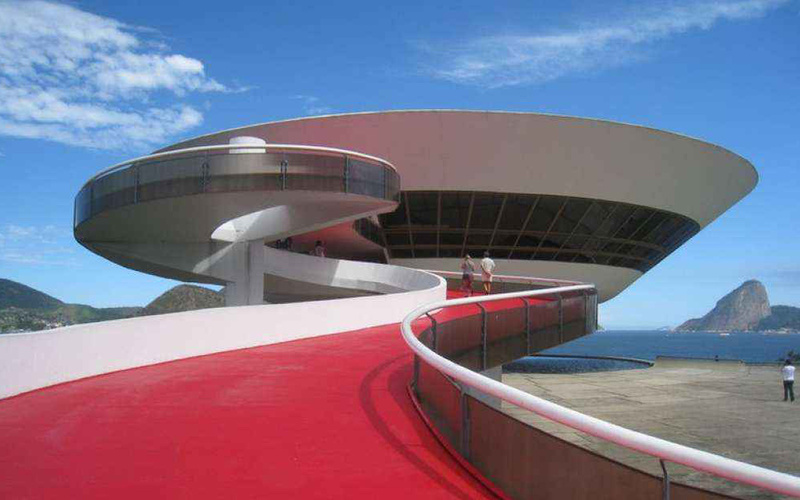 To which I'll add, that I've been to this museum in Rio, it commands a stunning view of the city, the harbor, the skyline. Back to the topic on hand. I note that many of our cultural institutions are on public lands, that we are owners of our cultural inheritance and that we cannot afford to cut ourselves off from it. I also find it sad that we don't have a cabinet level position of culture minister. 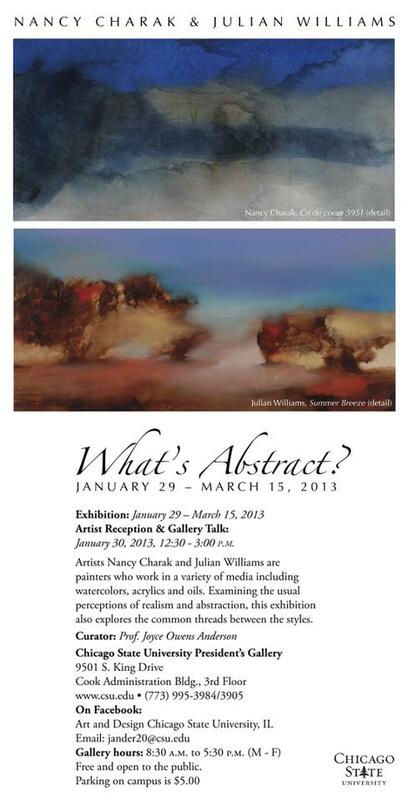 What's Abstract? Nancy Charak and Julian Williams. Free and open to the public, parking on campus is $5.00. Artists Nancy Charak and Julian Williams are painters who work in a variety of media including watercolors, acrylics and oils. Examining the usual perceptions of realism and abstraction, this exhibition also explores the common threads between the styles. Labels: Chicago State University, Joyce Owens, Julian Williams, Nancy Charak, President's Gallery, What's Abstract? My dad and I used to talk about if it would have been possible to fake a moon landing. He would have enjoyed this presentation very much. Lauren Purje, You Might be an Artist If. . . It's been a while since I've performed music live. As I work on getting a band together (and there is one in the works! ), I will play some solo shows. I'll be playing at UNCOMMON GROUND on Clark St. They have great farm-fresh food and a good beer selection there. $8 cover. There will be an opening act... we're still squaring that away. In the meantime, put it on your calendar! Minimalism is Simple. 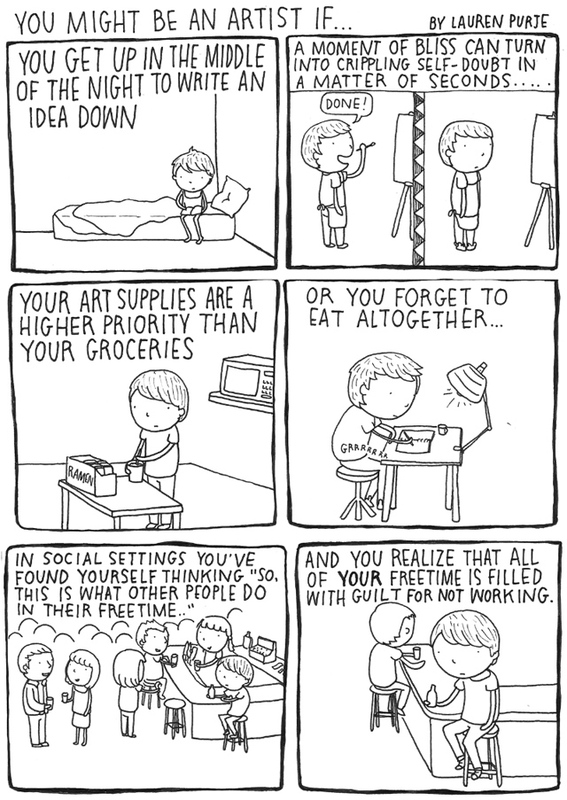 . .
Art can have a sense of humor, eh? 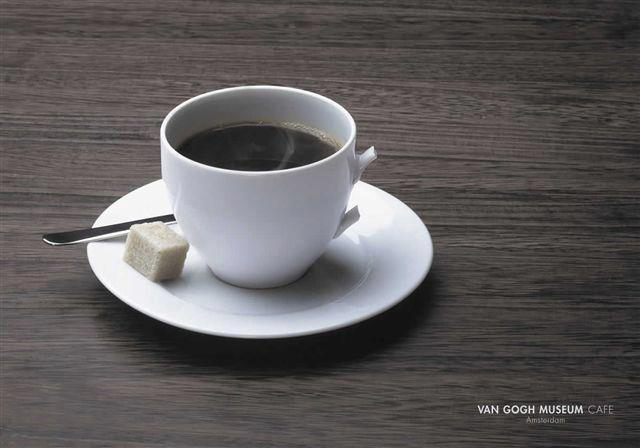 "From the Van Gogh Museum in Amsterdam comes this fantastic advertisement for their cafe. Do you get the joke? The quietly brilliant ad pictures a single coffee cup on a saucer, perfectly pristine except for the fact that its handle has been broken off. A mistake? To understand, it might help to take a look at one of van Gogh’s self portraits, namely, the 1889 “Self Portrait With Bandaged Ear.”"
As a frequent visitor to Europe and The Netherlands to friends and family, I always go to the Van Gogh Museum; it's an expensive outing at 18 euro a pop (unless you get one of those Amsterdam passes, which totally are a good deal), but it's always been magic to me to stand in front of "Wheatfield with Crows." It is a fascinating, privileged moment for me as an artist to look at his painting and be able to say, "this is the one, this the one moment in which Van Gogh, in which he was totally transported to some undefinable spiritual realm of realization and depiction in total congruence." I have no other words for this. Also take notice as follows, from the museum's website: From 24 September 2012 the Van Gogh Museum will be closed for seven months due to major construction work. During the renovation, part of the permanent collection will be shown in the Hermitage Amsterdam from 29 September 2012 until 25 April 2013. 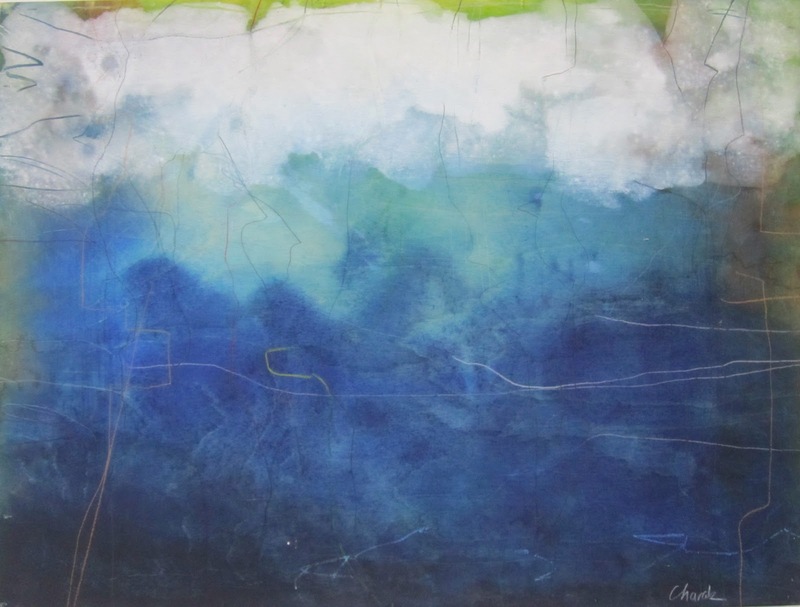 Artists Nancy Charak and Julian Williams are Chicago-based painters who work in a variety of media including watercolors, acrylics and oils. Examining the usual perceptions of realism and abstraction, this exhibition also explores the common threads between the styles. 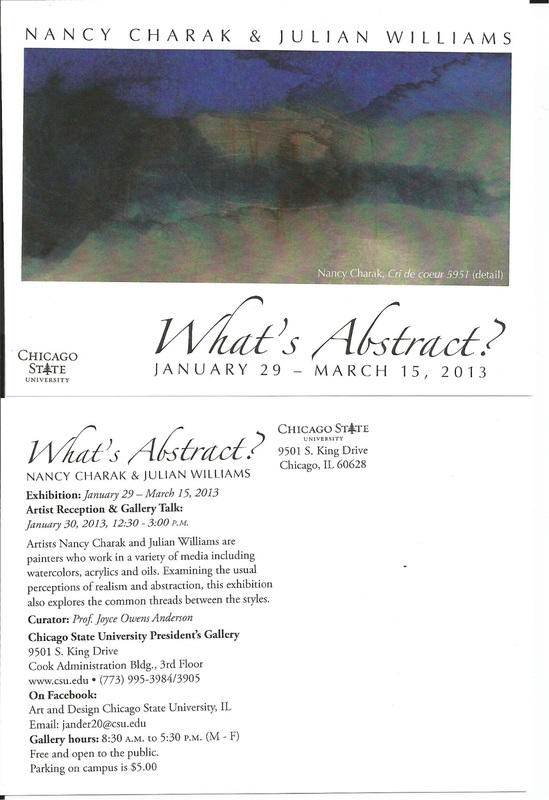 Labels: Chicago artist, Chicago State University, Nancy Charak, What's Abstract? 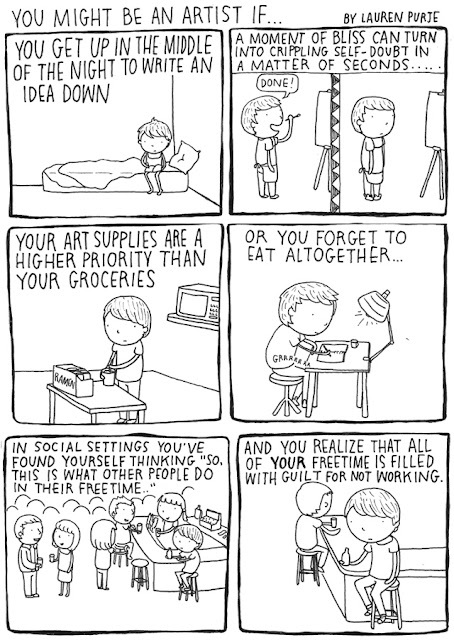 The average viewer spends around thirty seconds in front of an artwork. Seems unjust considering how long the artist likely spent making the thing. But I will admit that my first visit to any exhibition is spent quickly looking over every artwork, and there is something to be said for works that grab my eye even in that first glance and hold my attention. I usually snap a pic on my phone of works that catch my eye so I can think about them more and maybe go back to the gallery to see them again. Empirical data supports the view that visitors spend little time at individual exhibit components (often a matter of a few seconds and seldom as much as one minute); seldom read labels; usually stop at less than half the components at an exhibit; are more likely to use trial-and-error methods at interactive exhibits than to read instructions; that children are more likely to engage with interactive exhibits than adults, and that attention to exhibits declines sharply after about half an hour. To which I say, "well, DOH!" The floors are frequently solid marble, there are few places to sit and contemplate. The hard floors give spines and feet a furious pounding. Further, many of the spaces are humongous, high-ceilinged, reminiscent of cathedrals, spaces designed to make humans feel small in the presence of greatness. Add to that the presence of guards who so frequently in American museums look like escapees from the TSA who walk around glaring at viewers to make sure that no one snaps a picture of something protected by copyright, or steps in too close to get a good look, or even in some exhibits prohibiting sketching. 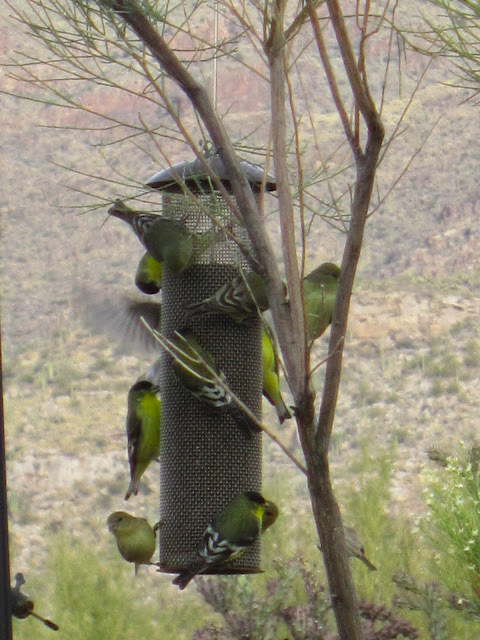 As for the plaint that viewers seldom look at labels, I am ambivalent about them. There's either too much information or not enough. Labels are frequently too small to be read at the optimal viewing distance for the painting. Also, there's a tendency to give printed material precedence over the visual, so I would rather viewers spend their precious time looking at the art, not at the explanation, especially with my own work. Having said all this, there's a way for the viewer to ameliorate this to some extent. Make a visit to the museum something other than a blockbuster event. Visit one gallery, then leave the museum. Come back, visit a different gallery, or go back to the first space, on an entirely different day. Obviously, the best strategy to pay for this is either with a museum membership or take advantage of free days and/or free hours. Here's a sweet photo from my last visit to the Art Institute of Chicago, a couple of weeks ago, of a young boy sketching in front of a Roman head in the Of Gods and Glamour: The Mary and Michael Jaharis Galleries of Greek, Roman, and Byzantine Art exhibit, which I encourage all to see, but wear comfy shoes always. LePage ordered the mural removed from the Labor Department lobby in March 2011, saying it presented a one-sided view of history and was not in keeping with the pro-business message of his administration. LePage said he received an anonymous letter from a businessman who compared the mural to North Korean propaganda. In an earlier post, "Realization," I spoke of what could perhaps be a coming of age moment for me at 64, that I am now doing what I thought I would have been doing much earlier in life, but now at this place and time, I have made myself into a working artist. As I idealized this when I started art school at 18, I thought that it would be a simple thing, a simple glide onward and upward. 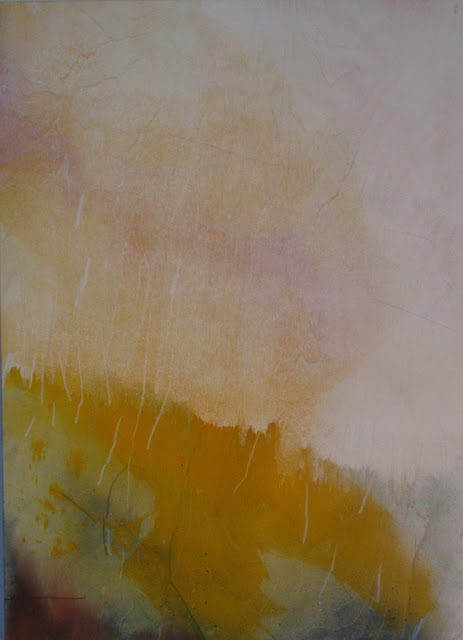 I am now making art constantly, engaged in a dialogue with art, images, ideas, in spite of the bumpy roads of life. I do not know where the art making is going, which is another realization, that I have given my paintings and myself permission to do and go where they need to go, and that I am only partially in control. 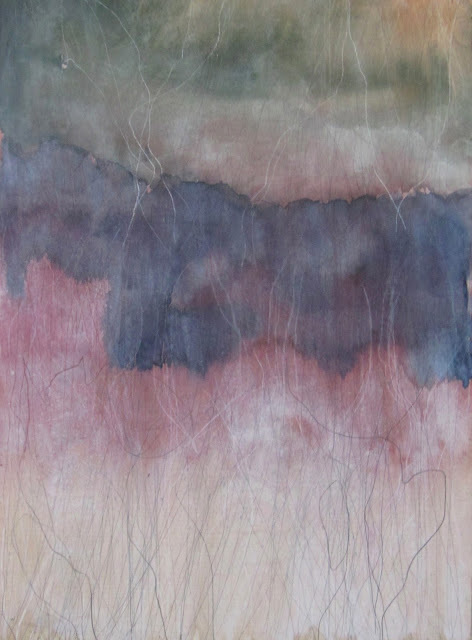 This painting, "Realization_5216" will be on display, with others, at Chicago State University, in a two-person exhibit with an accomplished artist and teacher, Julian Williams, in the President's Gallery, 9501 S. King Drive, Cook Administration Building, 3rd Floor. The exhibit has been organized and curated by professor, artist and activist, Joyce Owens. The show runs from January 29 to March 15. An artists' reception and gallery talk will be on Wednesday, January 30, from 12:30 to 3:00pm. Please come on by. The university takes a great deal of effort to use the exhibits as an educational experience for their students. It will be a great afternoon. The images of the aquatic birds and Sandhill Cranes at the Whitewater Draw that I have been posting in the last couple of days were taken with my point and shoot Canon PowerShot SD3500 IS. Getting this kind of an image was purely point and shoot without any pretense of focusing, but merely aiming in the general direction. The camera has a dismal shutter lag and takes its own sweet time to process the digital image so that as it cycles to ready one could miss an even sweeter image. However, I have learned that getting the picture is all about trust, trust that I can get the moment not merely because of the technology, but in spite of it. Labels: Chicago State University, Joyce Owens Anderson, Julian Williams, Nancy Charak, What's Abstract?